Everything you need to get the job done right! 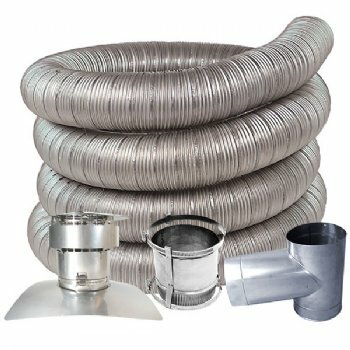 Z-Flex® Triple Lock® Stainless Steel Chimney Liner Kits come complete with everything you need to quickly and easily install a professional venting system. 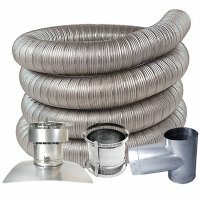 Manufactured from special high temperature and acid resistant stainless steel exclusive to Z-Flex®, and designed with 'deep corrugations' to provide for greater flexibility and ease of installation. The result is a clearly superior product, offering incredible longevity. UL 1777 and ULC S635 Listed for use with wood, pellet, oil, natural gas and propane fired appliances. Available in diameters 3" to 24"